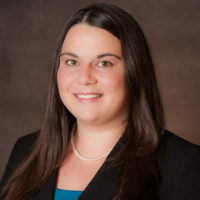 Karen N. Wohlgemuth is a litigation associate focusing her practice primarily on civil and commercial litigation, including construction defect, premises liability, personal injury, insurance bad faith, professional liability, wrongful death and toxic tort cases. Ms. Wohlgemuth has participated in numerous trials, mediations and arbitrations. She also is effective in advising insurance companies on coverage issues and procuring settlements involving complex and novel issues. She represents individuals, licensed professionals, businesses and insurance companies in resolving disputes in a creative and efficient manner. She graduated with a Juris Doctor from Sandra Day O’Connor College of Law at Arizona State University as a Trial Advocacy fellow and was the sole 2016-2017 Paul W. Holloway Trial Advocacy Award winner.